SSL, a Maxar Technologies company (formerly MacDonald, Dettwiler and Associates Ltd.) (NYSE: MAXR; TSX: MAXR), has been selected by Zin Technologies to build and test the Psyche Compute Element. This critical flight system component was designed by NASA's Jet Propulsion Laboratory for Psyche, a NASA Discovery Mission, that will investigate a metal asteroid that is expected to offer insight into how our planet formed. The award builds upon a long standing and trusted relationship with NASA and further demonstrates SSL’s successful track record of leveraging advanced capabilities for ground-breaking government missions in space exploration and science. As the main on-board computer, the Psyche Compute Element acts as the brain of the spacecraft, functioning as the coordinating center for command and data handling activity. As previously announced, SSL is working together with Arizona State University’s School of Earth and Space Exploration and NASA’s Jet Propulsion Laboratory in the first mission to explore what is believed to be an asteroid made of metal rather than rock or ice. In addition to the Psyche Compute Element, SSL is providing a high power solar electric propulsion spacecraft chassis based on the SSL 1300 satellite platform. 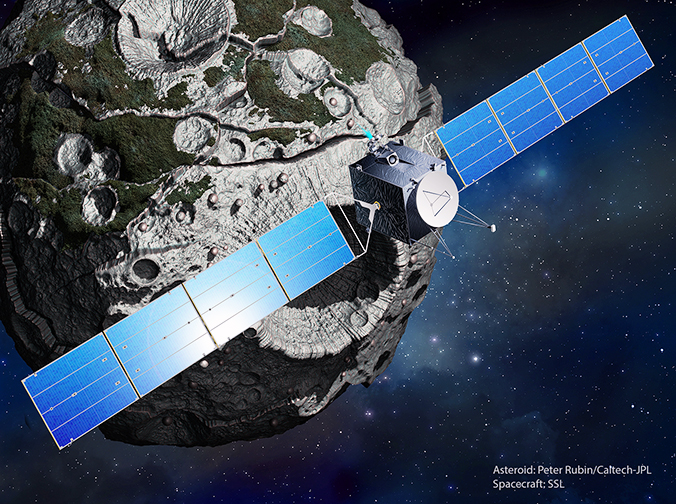 Using SSL’s standard commercial spacecraft design helps NASA reduce cost and ensure reliability for this mission to the asteroid belt, which lies between Mars and Jupiter. Scheduled to launch in 2022, the Psyche mission was selected over four other NASA Discovery Mission candidates. The spacecraft recently completed a comprehensive NASA mission systems review and is on track to meet its next development milestone, called the Preliminary Design Review. Richard White, the President of SSL Government Systems, said that the company is proud to be playing a major role in NASA’s Psyche mission, which will deepen humanity’s knowledge of the solar system and accelerate innovation for future exploration missions. The spacecraft’s design has been proven on more than 100 missions and leverages SSL's extensive experience in solar electric propulsion, which dates back to 2004. With 87 spacecraft currently on orbit today, SSL is a trusted partner for the most ambitious missions being undertaken in the new space economy. For more information, visit www.nasa.gov/psyche and psyche.asu.edu/.